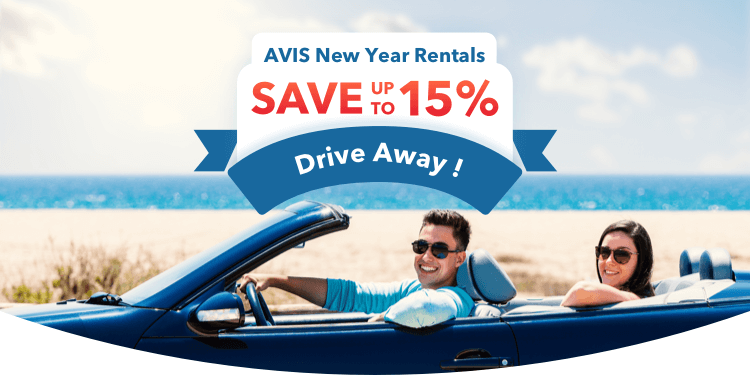 Let AVIS drive you away with up to 15% off! Scenic coastal drives and striking mountain passes await. 2. Promotion platforms: Trip.com's websites for the United States. 3. The promotion is only applicable to bookings which are prepaid in full and cannot be used for one-way car rentals. 4. Cancellation policies vary by rental supplier. Please check the cancellation policies of your selected rental supplier for further details. 5. Advertised prices are correct at time of publication and are subject to availability and change without prior notice. Please see www.Trip.com to confirm availability, prices, and applicable terms and conditions. 6. Trip.com reserves all rights of final interpretation.